Should External Applicants Try for Internal Job Posts? Government organizations and civilian companies sometimes restrict their job postings to internal applicants only. 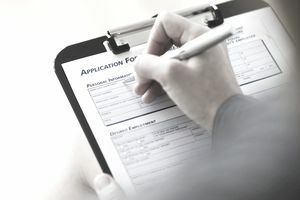 An organization cannot control the job applications it receives in response to a posting, but it can set up processes for handling those applications. Such processes include steps for handling applications that do not conform to the requirements stated in a particular posting. But if that job you really want is posted for current employees only, is it worth your time to apply anyway? Usually, it is, but you may need to be patient. External applicants usually are considered last, if ever. When an organization restricts to internal applicants, it may reject or discard applications from external applicants. So while an external applicant can apply for an internal job posting, in the vast majority of circumstances, external applicants may need to wait until internal candidates have been given what's known as "the right of first refusal," that is, the chance to turn down the job. In some cases, a job listing may be restricted to internal applicants, with no external candidates considered. While this does happen with some middle management or entry-level jobs, it's fairly rare for external candidates to be disregarded entirely. Of course, where a job listing is posted may determine who applies; if it's listed in a local newspaper or public job board, obviously a job will get more applicants. Jobs posted only on internal message boards are unlikely to see any external applicants, unless a current employee gives a heads-up. Usually, these postings will indicate if internal candidates are the only ones being considered. A hiring manager might​ be looking for someone with internal knowledge, or have a specific person in mind for the job. In most cases, an internal hire may save time in the hiring process and create promotional opportunities within the organization’s workforce. In many companies, internal rules require job listings to be offered to internal candidates before they're posted to the general public. This is especially true in companies where workers are represented by a union; typically, unions will negotiate for jobs to be made available to its members first. Organizations are free to establish selection criteria that are applied to all applicants for a posting. The criteria cannot be discriminatory against protected classes, but, otherwise, an organization can set up any hiring process it wants. An organization may be free to consider an external application after all internal candidates have had the chance to apply. But in general, your external application won't be considered until this point; if a company or agency accepts one external applicant, they must review all applications received. Why Do Hiring Managers Post Jobs to Only Internal Applicants?